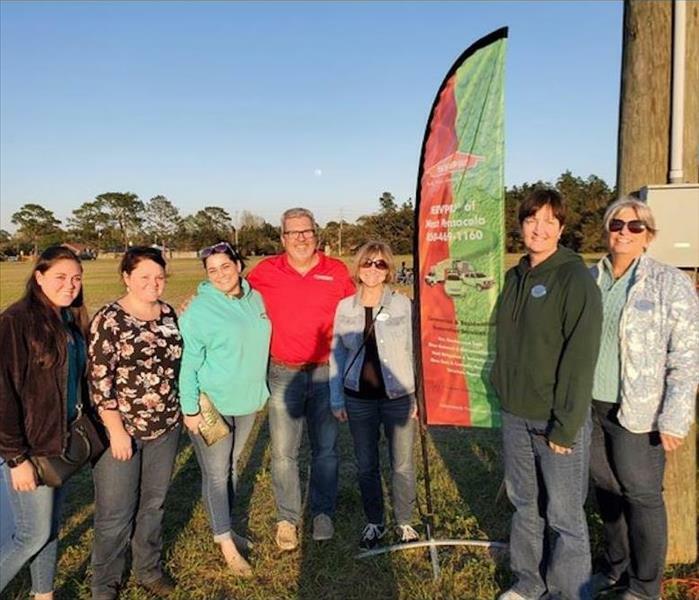 Team SERVPRO is a proud member of the Perdido Key Chamber of Commerce and recently participated in a movie night showing the feature film Guliver's Travels. It was a bring your own lawn chairs event and offered concessions. Everyone had a great night and enjoyed the movie under the stars. SERVPRO of West Pensacola's Kim Grab accepting the Perdido Key Chamber Member of the month award. 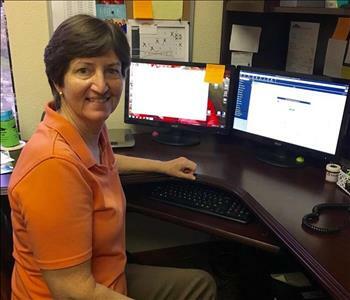 Kim is an active Perdido Key Chamber Ambassador and works with the chamber promoting the Perdido Key area through volunteering and educating new members on what the chamber and the area is all about. 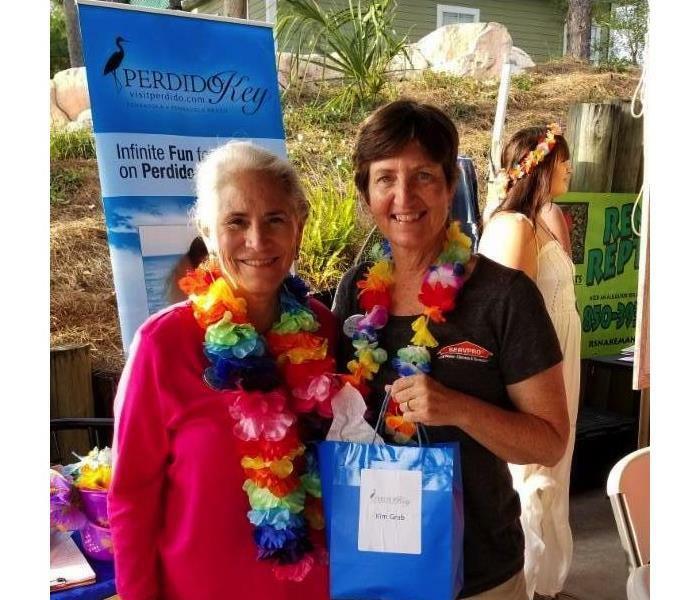 Mary Weaver of Gulf Coast Advantage Insurance, Lindy Hurd of First International Title and the team at SERVPRO of West Pensacola sponsored a Vendor appreciation Fish Fry at the offices of First International Title in Downtown Pensacola. It was also Gallery night in Historic Downtown Pensacola, so it was a great night to eat some really good food provided by SAM's Seafood and then walk around beautiful downtown Pensacola, thanks again for a great night. SERVPRO of West Pensacola is a proud member and sponsor of the Perdido Key Area Chamber of Commerce. 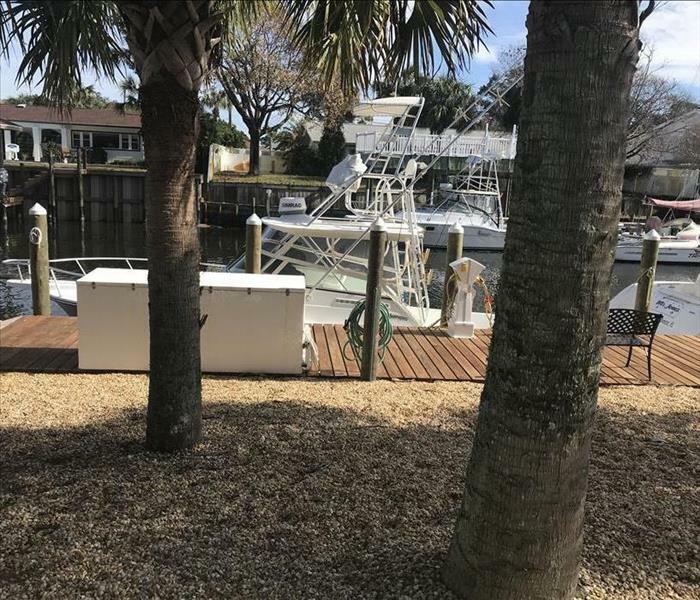 A great time was had by all at the Multi-Chamber event held this year at the FLORA BAMA RIVER BAR. 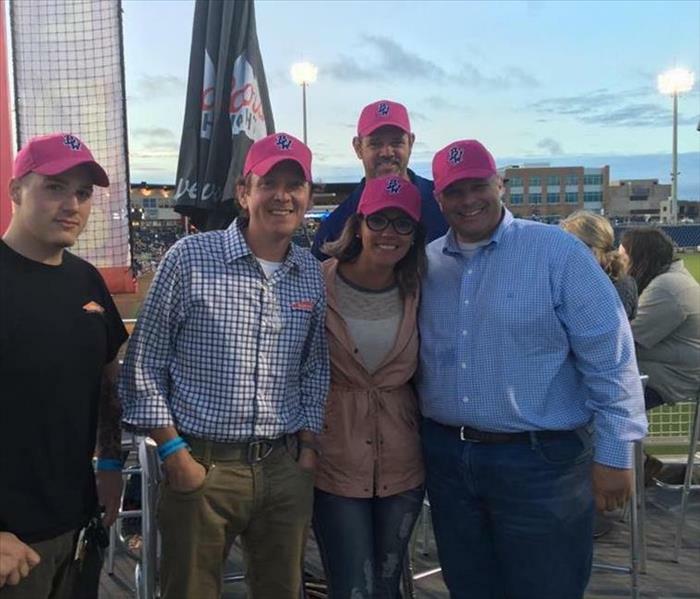 It was great seeing all the regional chambers coming together for this great event. 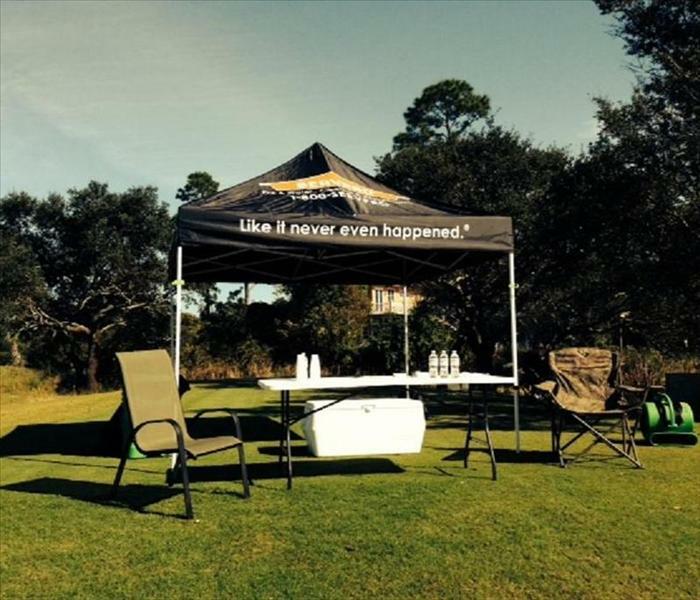 SERVPRO of West Pensacola was a proud sponsor of the 2013 Perdido Key Chamber of Commerce Songwriter's Festival Scramble at Lost Key Golf Club. In addition to sponsoring the Scramble we picked up the tab for 3 Veterans (played on Veteran's Day) to play in the event for free. It was a small way for SERVPRO of West Pensacola to thank them for their service to our country. 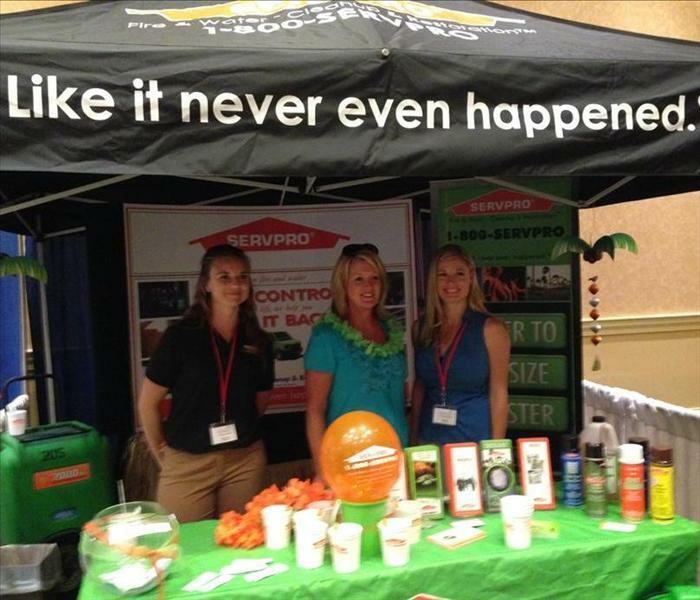 SERVPRO of West Pensacola and other local SERVPRO franchises recently sponsored a booth at the annual CAI meeting. SERVPRO of West Pensacola is proud to be associated with the Gulf Coast Chapter of CAI. SERVPRO West Pensacola crew at NAIOP awards banquet celebrating and recognizing local commercial developments that have made an extraordinary impact on the community. 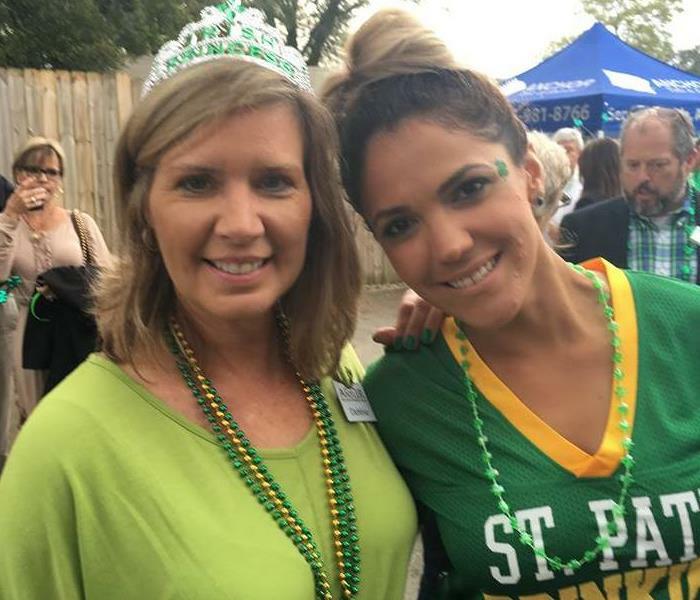 Eva Marsach and friends celebrating and supporting the Pensacola Chamber of Commerce at the 2016 St. Patrick's Day event. There's always time for a Selfie. 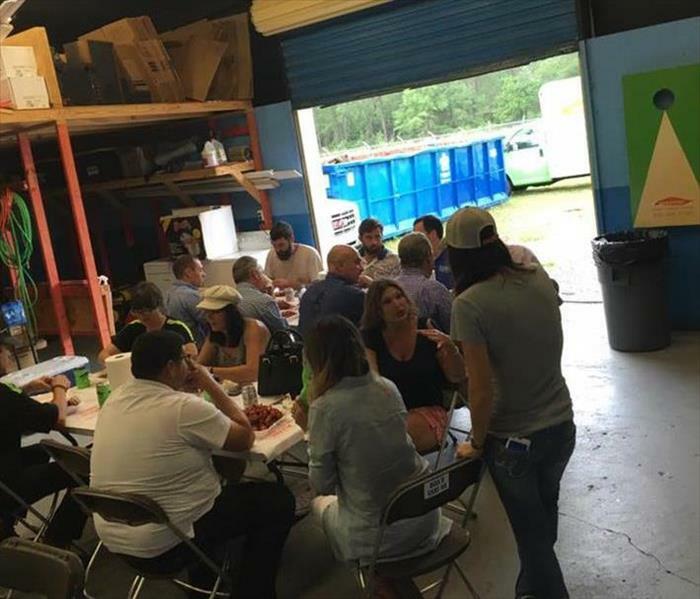 SERVPRO of West Pensacola is proud to also know a thing or two about BBQ. Our team was not as fortunate at ribs however, but we did cook a mean chicken. 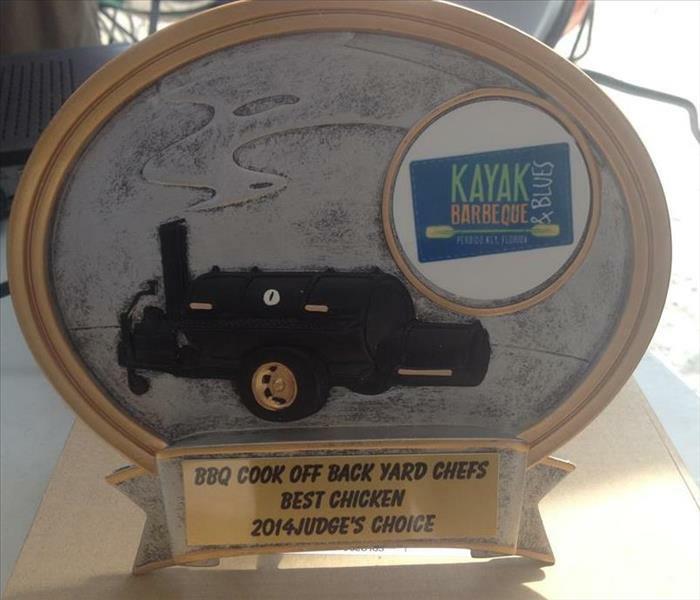 Thanks Perdido Key Kayak Blues & BBQ for a great event! 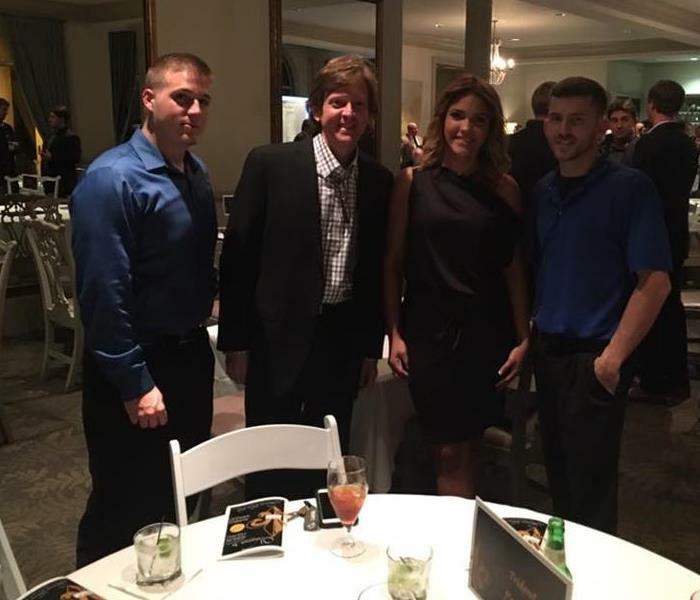 Eva and her band of misfits having a blast supporting the Home Builders Association of West Florida 2016 spring golf classic!! SERVPRO of West Pensacola supporting the Gulf Coast Association of Insurance Professionals. Enjoying the game with great people! Vendor appreciation day at SERVPRO of West Pensacola. Had a great time eating mud bugs, listing to music, playing corn hole and spending time and visiting with great vendors and friends. 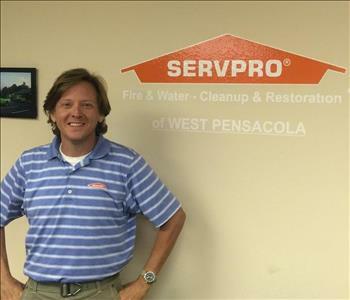 SERVPRO of West Pensacola and continuing education is a priority for our owners and staff. 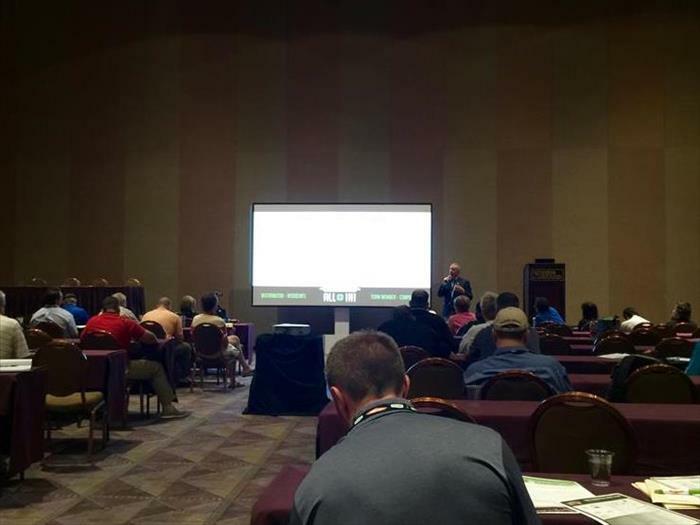 This picture was taken at our 2016 convention, here you see our team and other SERVPRO owners taking a course called STORM UNVIVERSITY, its an 8 hour class covering the management and production techniques needed during a storm event. 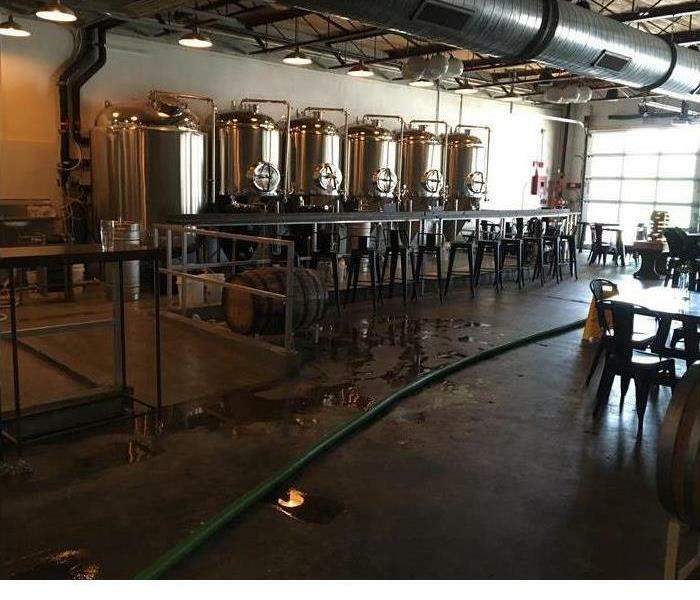 This is just one way SERVPRO of West Pensacola is always striving to be ahead of the STORM. Call SERVPRO of West Pensacola today at 850-469-1160 and find out how we can help you be prepaired for a storm event. SERVPRO of West Pensacola is a proud member and sponsor of the Perdido Key Area Chamber of Commerce. 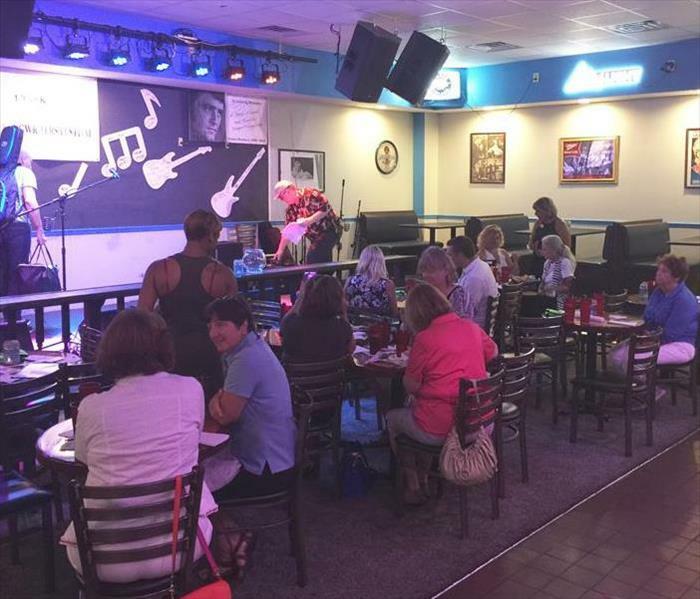 Another great lunch and learn in the books, Thank you Perdido Key Chamber and Malibu lounge for antoher great lunchen.